We have a couple options as to where to meet. Chris from BLVD said to come hang out at the shop beforehand. This may include refreshments. 3) Meet at BLVD (251 Newbury St., aka the 3rd block down on the left) between 9-9:30 to hang out with the guys there and then walk over to the Other Side Cafe. 4) Come as you wish. 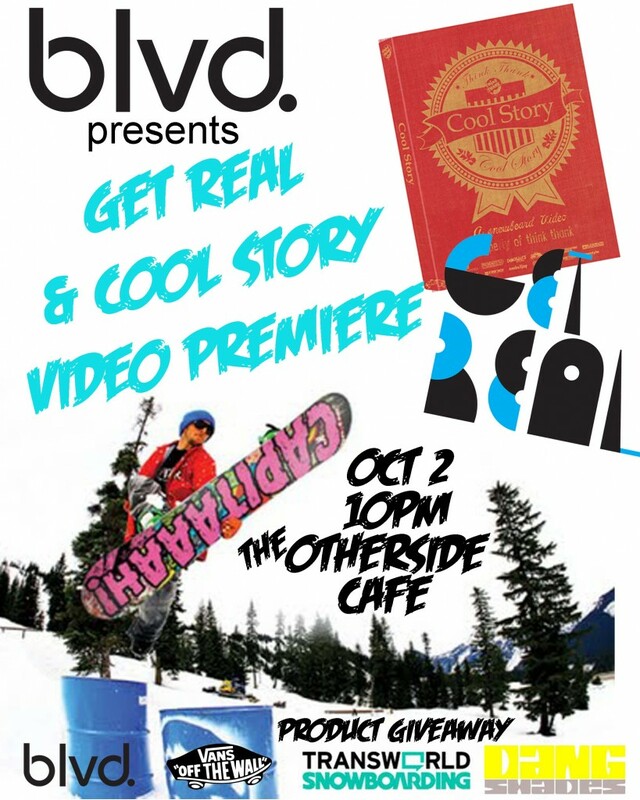 The movies start at 10 at the Other Side Cafe (407 Newbury St., aka on the other side of Mass Ave).